Today I examine the calculation of the equity q ratio and estimated market-level returns. Later this week I’ll take a look at the likelihood of massive drawdowns at elevated q ratios. Taleb was up at a whiteboard by the door, his marker squeaking furiously as he scribbled possible solutions. Spitznagel and Pallop looked on intently. Spitznagel is blond and from the Midwest and does yoga: in contrast to Taleb, he exudes a certain laconic levelheadedness. In a bar, Taleb would pick a fight. Spitznagel would break it up. The “equity” q ratio is similar to Tobin’s q ratio, which is the ratio of enterprise value (market capitalization plus debt) to corporate assets or invested capital. With no debt, Tobin’s q is market capitalization over total assets. The equity q ratio (or “Q ratio”, as Spitznagel describes it in his papers) is market capitalization over shareholders’ equity. Shareholders equity is total assets less total debt. With no debt, shareholders’ equity is equal to invested capital. The equity q ratio is a market level price-to-shareholders’ equity ratio, where shareholders’ equity is calculated using assets valued at replacement cost. [T]he arithmetic mean to which it has been seemingly attracted is, surprisingly, not 1, but rather about .7. This, then, would be the appropriate “fair value” for use in gauging over- or under-valuation (and the March 2009 low actually came very close to this mean). Why doesn’t equity q mean revert to 1? It would have been expected for this Q ratio level to be where ROIC = WACC, that is, where the price equals the net worth of the businesses, Q=1. 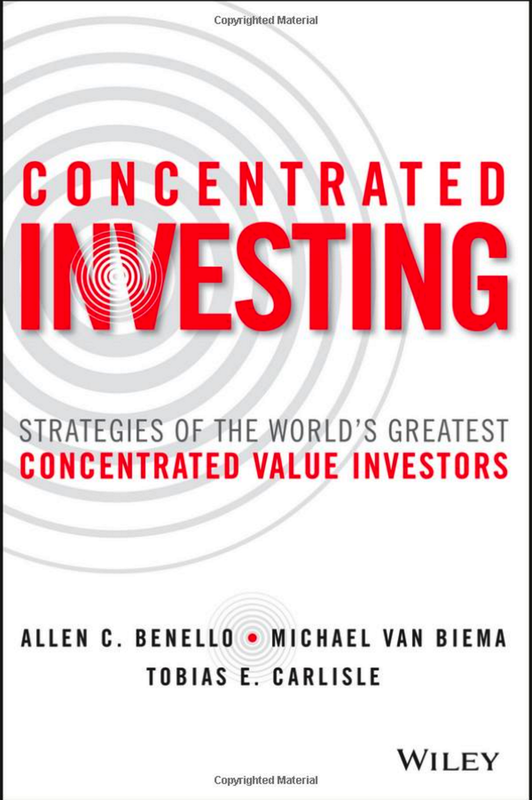 Ostensibly, the current value of invested capital (i.e., the replacement cost of company assets) has been systematically overstated (and its depreciation understated). This is evident in the historical aggregate ROIC as computed from Flow of Funds data vis-à-vis the actual known aggregate ROIC (and adjusting thereto is consistent with Q ≈ 1). 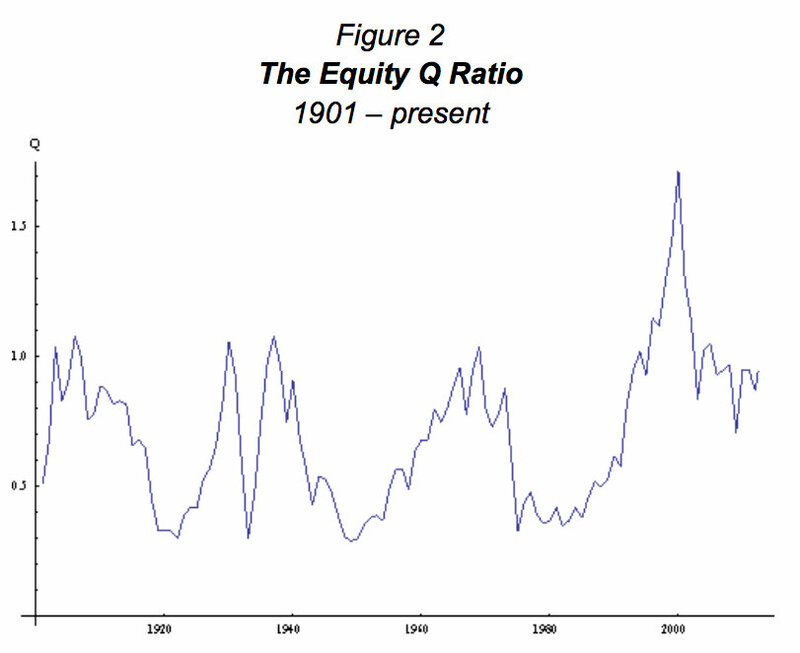 Is the equity q ratio predictive? Just a casual perusal of Figure 2 [above] (and a basic memory of what U.S. stocks did during this period) tells the story quite well, but let’s put some numbers on it. Spitznagel’s white papers are important because they demonstrate that, like the Shiller PE and Buffett’s total market capitalization-to-gross national product measure, the equity q ratio is a highly predictive measure of subsequent stock market performance. Spitznagel is a specialist in tail risk, and so the most intriguing part of Spitznagel’s papers is his demonstration of the utility of the equity q ratio in identifying “susceptibility to shifts from any extreme consensus” because “such shifts of extreme consensus are naturally among the predominant mechanics of stock market crashes.” I’ll continue with the rest of the paper later this week. In the context of your series on valuation metrics and equity expected returns, I’d be interested in your thoughts on our meta-study of market expected returns using various smoothed PE ratios, the Q ratio, mkt cap / GNP and regression to trend measures. Incidentally we will be updating this report with contemporaneous data over the next day or two. Thanks Adam. This is outstanding work. I’ll run the updated data on Greenbackd. Great stuff. I’ll make a post out of it. 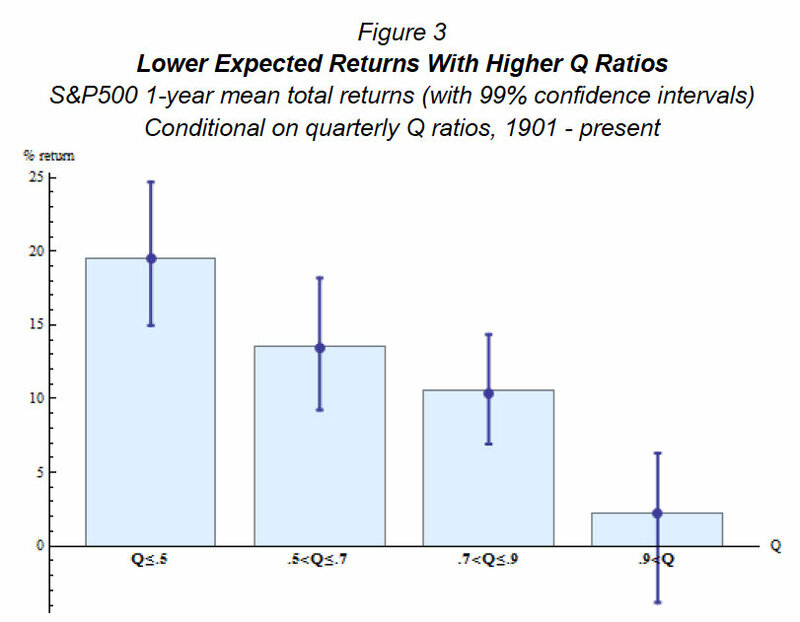 Based on historical returns, should a good quant strategy be abandoned in an expensive market? I would say no. 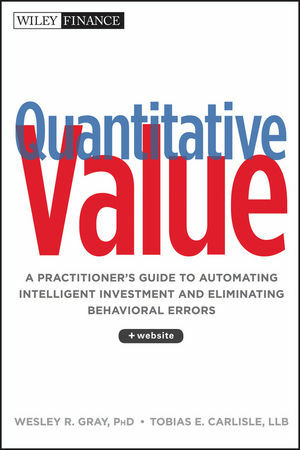 The architects of a good quantitative strategy should have considered expensive markets in the course of the testing and the appropriate response should be built into the model. Thanks – put another way though – if you just buy a portfolio of say low EV/EBITDA (just as an example), and you basically run 100% exposure on that approach – does history say in expensive markets you plod on with the same or is there a demonstrable benefit in changing exposure based on overall market valuation? It all depends on your own personal objectives. You should understand the magnitude of the drawdowns to any strategy you implement and be comfortable with them.